While selecting a plot an important consideration is the road from which the entry into the plot is made. 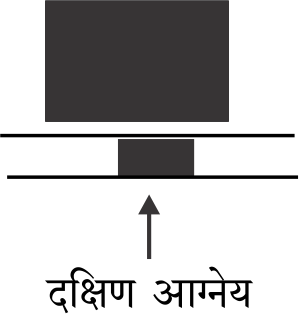 The position of the road will determine the auspicious direction of entry into the plot. If the road is in the East side of plot we can enter the same through East or North East which is very auspicious. It is possible to have entrance through North or North East, in a plot with road in the North and is auspicious. In a plot with road to the West, the entrance can be planned from West-North West. If the road is to the South of the plot, the entrance can be had from South-southeast (Agneya) which is beneficial. 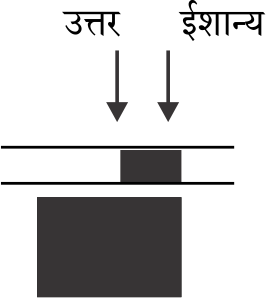 Demarcation of the directions such as South-South East or West-North West etc. should be done under the guidance of an expert to ensure correctness of the direction. Location of road in the East or North of the plot is considered auspicious while road in the South and West direction is considered inauspicious. Based on these factors, we can determine the positive and negative aspects of a plot with reference to the location of the road and main entrance to the plot.